Houston Post Building. Courtesy of the Houston Chronicle. Image available on the Internet and included in accordance with Title 17 U.S.C. Section 107. Houston Post issue from December 9, 1917. Courtesy of the University of North Texas. Image available on the Internet and included in accordance with Title 17 U.S.C. Section 107. Oveta Culp Hobby, editor of the Houston Post. Courtesy of the Houston Chronicle. Image available on the Internet and included in accordance with Title 17 U.S.C. Section 107. William "Bill" P. Hobby, Jr., President of the Post, pictured in the newsroom in 1978. Courtesy of the Houston Chronicle. Image available on the Internet and included in accordance with Title 17 U.S.C. Section 107. The Front Page of the Houston Post's Last Edition, April 18, 1995. Courtesy of the Houston Chronicle. Image available on the Internet and included in accordance with Title 17 U.S.C. Section 107. HOUSTON POST. The Houston Post was established on February 19, 1880, by Gail Borden Johnson, who in 1881 combined the paper with the Houston Telegraph (formerly the Telegraph and Texas Register). Because of financial troubles, the paper was sold in 1884 to a group of Houston citizens, including William R. Baker. Their investment failed to save the business, however, and publication ceased in October 1884. On April 5, 1885, the Houston Morning Chronicle and the Houston Evening Journal combined, with J. L. Watson as business manager and Rienzi M. Johnston as editor, to establish a new Houston Post. Threatened by a strike in 1890, Watson found an alternative to typesetters in Linotype machines, the use of which made the Post a modern pioneer. He subsequently bought out other stockholders to gain control of the paper. After his death in 1897, Johnston, G. J. Palmer, and Henry F. MacGregor controlled the business in trust until Watson's son, Princeton graduate Roy Watson, assumed control in 1918. Roy Watson, a Christian Scientist, banned advertisements for patent medicines, wildcat oil stock, liquor, wine, beer, and yeast. The paper soon lost advertising revenue, and Watson sold the Post in 1924 to Ross S. Sterling, who merged it with the Houston Dispatch to form the Houston Post-Dispatch. In the 1930s Sterling sold the paper to Jackson E. Josey, who represented Jesse H. Jones. Josey changed the name back to Post and operated the paper until 1939, when William P. Hobby, president of the paper since 1924, acquired a controlling interest. Among workers on the Post were W. S. Porter (O. Henry), W. C. Brann, Judd Mortimer Lewis, and Marcellus E. Foster, founder of the Houston Chronicle. 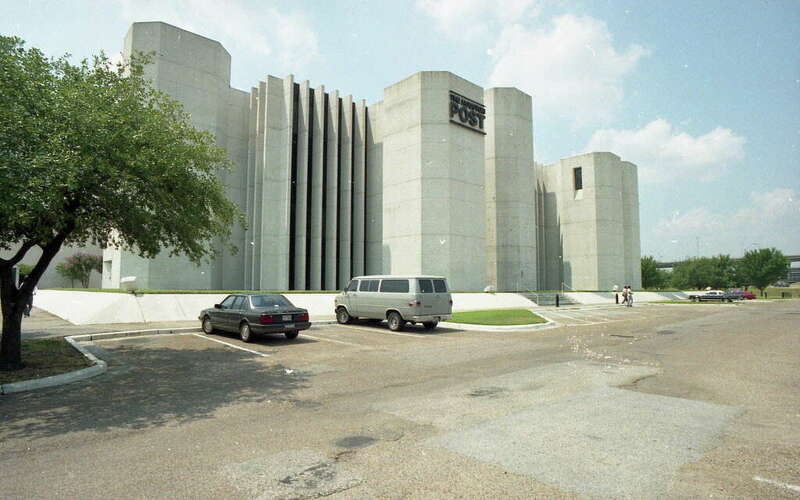 The Houston Post continued to grow in prestige and circulation. As the Houston Post-Dispatch, the company operated radio station KPRC in the 1920s. In 1949 the paper had a paid circulation of 165,667 daily and 177,913 on Sundays. By the early 1950s the Houston Post Company had acquired television station KPRC, and in January 1955 the company opened a new $4 million office building. In August 1955 Hobby became chairman of the board of directors; his wife, Oveta Culp Hobby, became president and editor. In 1963 the company purchased the News Publishing Company, a transaction that involved the sale of the Galveston News, the Galveston Tribune, and the Texas City Sun. 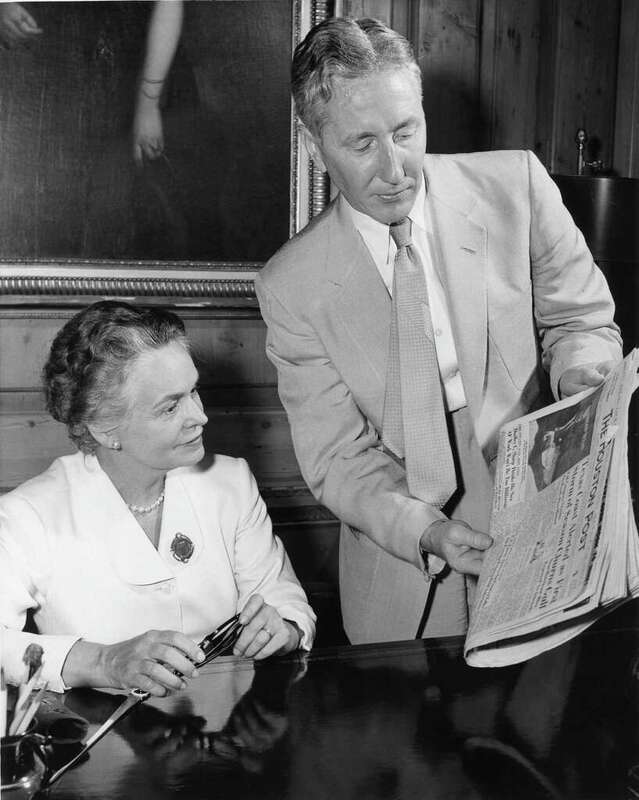 When Hobby died in 1964, the Post remained under the management of Mrs. Hobby, assisted by their son, William P. Hobby, Jr., who served as executive editor and executive vice president. In 1967 the Houston Post Company sold the Galveston area papers. 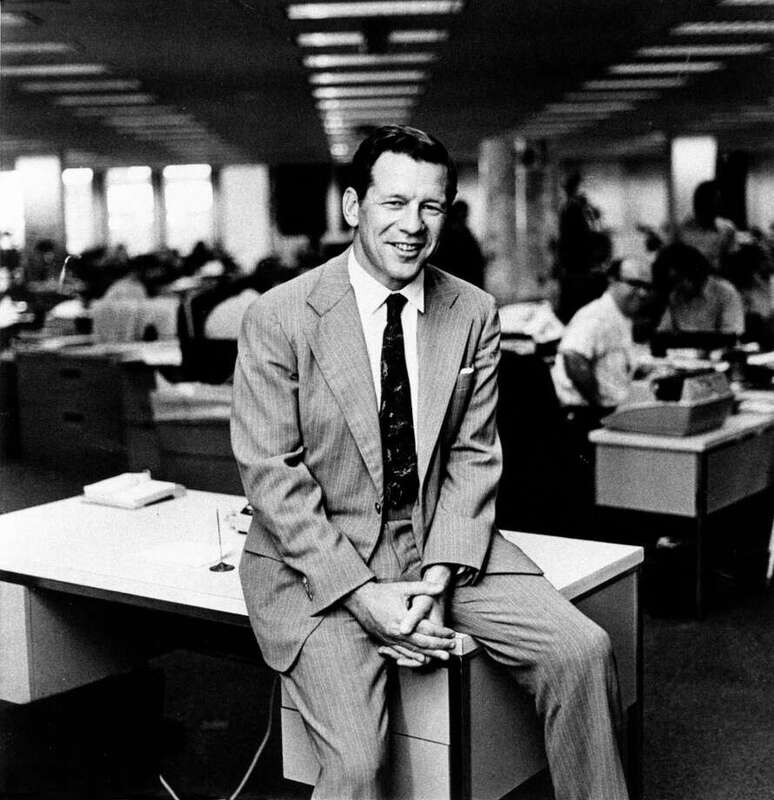 In 1969 William H. Gardner was named chief editorial writer and editor, and in the 1970s the paper again became a pioneer with its use of computer-set type. By October 12, 1975, Oveta Culp Hobby was editor and chairman of the board, William P. Hobby, Jr., was executive editor and president (and also lieutenant governor of Texas), and Edwin D. Hunter was vice president and managing editor. In 1983 the Hobby family sold the newspaper to the Toronto Sun Publishing Company, which subsequently sold its interest to Consolidated Newspapers Inc. in 1987. The Post had a daily circulation of 335,000 in 1991, but that number dropped to just over 287,000 in 1995. Citing the rising cost of newsprint, Consolidated sold the Post to the Hearst Corporation, owner of longtime rival newspaper the Houston Chronicle. 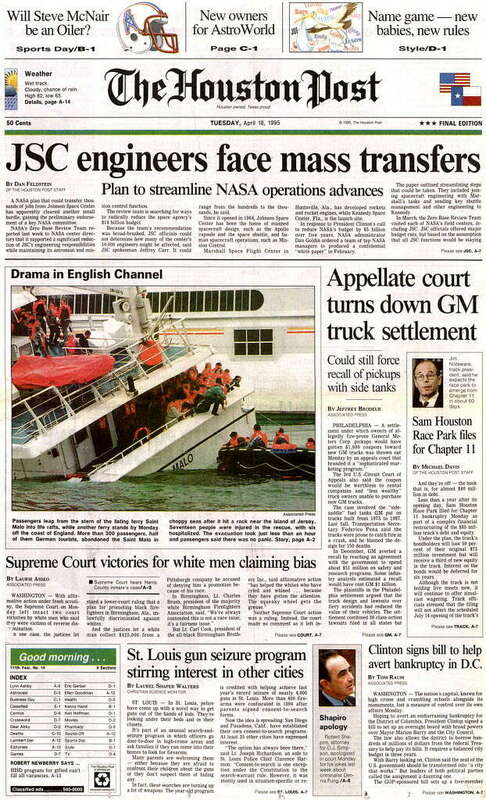 The Houston Post was abruptly shut down; its final edition, on April 18, 1995, made no mention of the sale. Marguerite Johnston, Houston, The Unknown City, 1836–1946 (College Station: Texas A&M University Press, 1991). New York Times, April 19, 1995. Texas Newspaper Directory (Austin: Texas Press Service, 1991). Handbook of Texas Online, Diana J. Kleiner, "HOUSTON POST," accessed April 22, 2019, http://www.tshaonline.org/handbook/online/articles/eeh04.